Discogs is working with RE:VIVE and Red Light Radio in Amsterdam, following renowned DJs as they sift through one of the biggest record collections in The Netherlands. RE:VIVE is an initiative from The Netherlands Institute For Sound & Vision that brings archives and musicians together to create new productions inspired by old collections. You can read a full account of our exploration of Sound & Vision’s archive here. This write up is based on a conversation I had with Robert Bergman right after his set. Not that many people are actually from Amsterdam. A lot of people come to live here because of the opportunities and the culture – the music in particular. But Amsterdam native Robert Bergman was born and raised there, and has cut out a name for himself as a quintessential crate-digger, interested in all sorts of music. This palette is reflected in his wide-ranging sets, and his encyclopedic knowledge made him a great partner for strolling through an archive of 300,000 records. This probably explains why we detoured into a conversation about a record label he really looked up to when he was growing up: Bunker Records out of Den Haag. Check out the label profile on Discogs for some ‘interesting’ (read: NSFW) background on the squat parties they used to run to fund the label. “I really looked up to labels like Bunker because they would release stuff on black vinyl with no artist and no track names, just to be able to play their own music at their own parties. They didn’t do it for fame, just for the love of it”. Robert has a large collection but doesn’t catalog it with any great rigor. “To me it’s more like a photobook or something. It’s organised roughly by time of purchase so it’s something like a personal history. I can always recall when and where I bought a certain record, although the stories are not always good!” He says he can also always find what he’s looking for, but admits there must be things in there he has forgotten to look for. “To prevent memory loss you need to revisit your collection.” I guess that’s kind of what we’re doing in the archive – trying to prevent cultural memory loss. Join 6 million record collectors using Discogs. Create an account, start cataloging now. One thing that really caught me was his comment about music not being eternal. Maybe working at Discogs has made the past more sacred to me, but Robert sees it differently. “I like records, I like people to play them, but they’re not for eternal keeping”. There’s a lot of sensationalism and mythicism injected into music these days, to artificially pump it up. 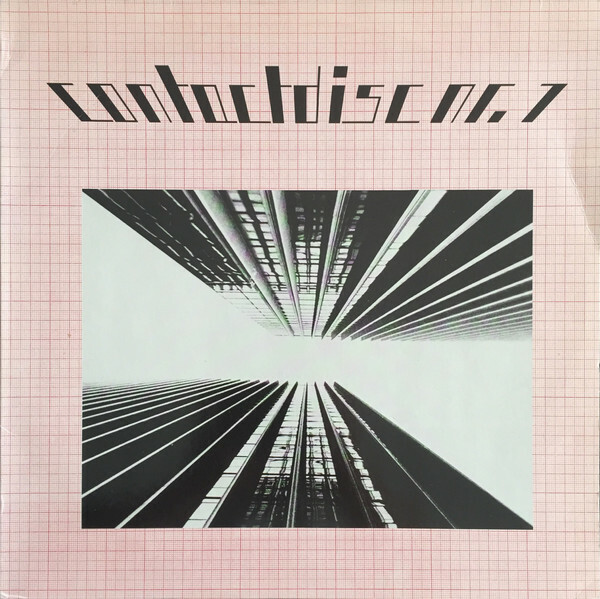 “Stuff gets coveted, you see old Bunker records that were once worth a few cents now going for hundreds of Euros just because the story of Unit Moebius is cool nowadays”. Note that you can tell they’re one of the earliest Artists cataloged on Discogs by the “Artist ID” at top right of their artist page. In Robert’s eye’s a lot of this stuff is just “functional”. It has a time and a place and outside of that it actually doesn’t make that much sense. “There’s nothing wrong with that, it just is what it is”. He deliberately didn’t prepare anything in particular for his dig in Sound & Vision’s archive, he wanted to be surprised by some things. I guess when you know as much about music as he does you can do that. When we stepped into the record storage room in the archive he went straight to the dutch section, hoping to recognise something, or at least to find something crazy. “Since the popular stuff tends to outlast the crazy stuff, there’s a higher chance of finding the crazy Dutch stuff in an archive that preserved a lot of Dutch stuff. I’m also hoping to find some old demos that might have been sent in for the radio stations to play.” Apart from that he relied on the standard triggers like cool looking covers, familiar labels and artists. He has a really broad musical knowledge so he brings a lot with him to the digging process. The first record he showed me was a compilation from Amsterdam based label Stichting Stopontact (‘Electric Socket Foundation’), Contactdisc 1. “I picked up this compilation piece because I have some records from some of the other artists like De Fabriek and Doxa Sinistra. These are really good bands so I thought I should have a look at the rest.” De Fabriek are a prolific Experimental / Industrial / Abstract outfit from Zwolle in The Netherlands. Even though they have 117 Releases listed on Discogs the average number of Wants is almost twice that of Haves. Doxa Sinistra are a little less well known, but no less influential. Back in the 80s they also pioneered Experimental and Minimal sounds that were “ahead of their time”. “A lot of these bands probably only did stuff on tape, and it was common for them to just make songs for one release like this. It’s not a compilation of existing material, this is probably the only record it was released on.” Digging around Discogs confirms Robert is right on this one. “The other reason I picked this up is because it says on the back ‘All material mastered at hero wouters studio brouwersgracht 205, amsterdam’, and I have another Dutch Wave record from the 80s recorded at the Brouwersgracht, and I’m not sure if it’s recorded at the same spot. This is also where I grew up.” Robert and I spent some time digging through Discogs and managed to find the other release recorded at Brouwersgracht. It turns out Edward Ka-Spel ‎– Eyes! China Doll was also produced by Hero Wouters at his studio at Brouwersgracht 771, Amsterdam. Just down the road! Thanks watzmann for adding the address to the Release notes so it was searchable. Next up was Biotop by Asmus Tietchens. “This whole record is incredible. I really want this now, it’s even on my Discogs Wantlist now” he says holding it up to the light. 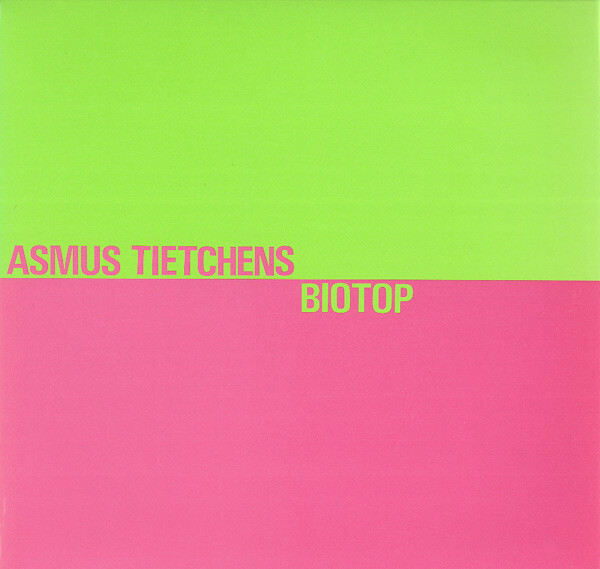 “This was released on Sky Records, although this is a bit ‘tougher’ than most of their output.” Asmus Tietchens, born in 1947, is a German Electronic musician whose music is often inspired by and refers to the texts of the philosopher Emil Cioran. He pursued ‘absolute music’ through an almost mathematical process of rigid formal exercises, and his sounds have strong ties with the hugely influential (but controversial) work of Karlheinz Stockhausen. He’s the kind of pioneer that took music so far to its limits that people even write about him. A really important figure in the evolution of Electronic music. This album and the four others he released on Sky are unique in his body of work for their focus on rhythmic set pieces. “I know Sky really well but I had never seen this so it caught my attention”. Thanks a lot to the team at Sound & Vision for holding on to all these records for so many years, and for opening the vaults to let us all have a peek. And thanks to all the Discogs Contributors that catalogued the releases, artists and labels mentioned throughout this series. Without you we wouldn’t be able to connect the dots. There’s always more music to catalog so if you have anything in your personal collection that’s not yet on Discogs, add it to the Database so everyone can find it. Want to learn more about how Discogs is built? Ready to submit a new Release to Discogs? The post From the Archive: Robert Bergman Digs Through 300,000 Records appeared first on Discogs Blog.